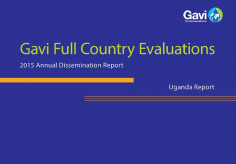 This report presents findings for Uganda from the 2015 Gavi Full Country Evaluations (FCE) Annual Dissemination Report. This report presents findings for Zambia from the 2015 Gavi Full Country Evaluations (FCE) Annual Dissemination Report. 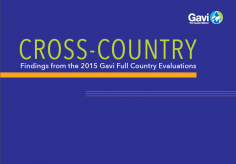 This brief provides an overview of cross-country findings from the 2015 evaluation year. 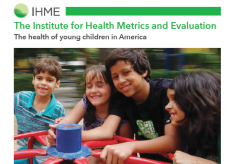 Childhoods in America are safer and healthier than ever before, but the health of the nation’s young children continues to lag behind that of other developed countries. 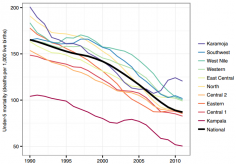 Under-5 mortality in Zambia has declined since 1990, with reductions accelerating after 2000. Zambia’s scale-up of malaria control is viewed as the driver of these gains, but past studies have not fully accounted for other potential factors. This study sought to systematically evaluate the impact of malaria vector control on under-5 mortality. 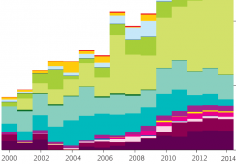 In the 2012 Global Vaccine Action Plan, development assistance partners committed to providing sustainable financing for vaccines and expanding vaccination coverage to all children in low- and middle-income countries by 2020. To assess progress toward these goals, the Institute for Health Metrics and Evaluation produced estimates of development assistance for vaccinations. 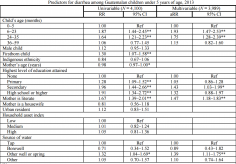 The literature focuses on mortality among children younger than 5 years. Comparable information on nonfatal health outcomes among these children and the fatal and nonfatal burden of diseases and injuries among older children and adolescents is scarce. In May, 2015, locally acquired cases of Zika virus—an arbovirus found in Africa and Asia-Pacific and transmitted via Aedes mosquitoes—were confirmed in Brazil. The presence of Aedes mosquitoes across Latin America, coupled with suitable climatic conditions, have triggered a Zika virus epidemic in Brazil, currently estimated at 440 000–1 300 000 cases. Globally, countries are increasingly prioritizing the reduction of health inequalities and provision of universal health coverage. 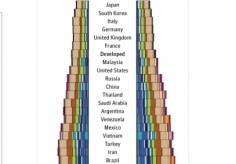 While national benchmarking has become more common, such work at subnational levels is rare. The timely and rigorous measurement of local levels and trends in key health interventions and outcomes is vital to identifying areas of progress and detecting early signs of stalled or declining health system performance. 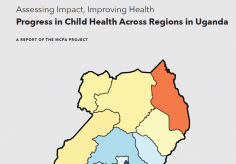 Assessing Impact, Improving Health: Progress in Child Health Across Regions in Uganda is the culmination of the Malaria Control Policy Assessment (MCPA) project, which has sought to quantify the impact of malaria control and other child health interventions on reductions in under-5 mortality. 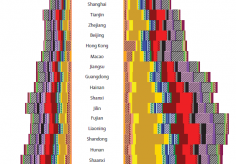 Following the methods of the Global Burden of Disease Study 2013 (GBD 2013), we have systematically analyzed all available demographic and epidemiological data sources for China at the provincial level. We assessed levels of and trends in all-cause mortality, causes of death, and years of life lost (YLL) in all 33 province-level administrative units in mainland China, all of which we refer to as provinces, for the years between 1990 and 2013. In the past two decades, the under-5 mortality rate in China has fallen substantially, but progress with regard to the Millennium Development Goal (MDG) 4 at the subnational level has not been quantified. 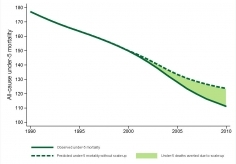 We aimed to estimate under-5 mortality rates in mainland China for the years 1970 to 2012. 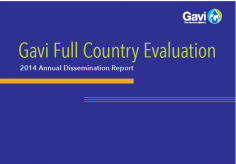 This report details findings from the 2014 evaluation period of the Gavi Full Country Evaluations (FCE) project in Bangladesh, Mozambique, Uganda, and Zambia. The FCE are three-year prospective studies that aim to understand and quantify the barriers to and drivers of immunization program performance, with emphasis on the contribution of Gavi, the Vaccine Alliance. 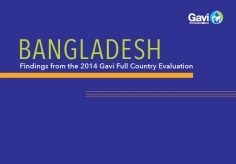 This brief presents findings for Bangladesh from the 2014 Gavi Full Country Evaluations (FCE) Annual Dissemination Report. It reflects content from the 2014 Annual Dissemination Report. This brief presents findings for Mozambique from the 2014 Gavi Full Country Evaluations (FCE) Annual Dissemination Report. It reflects content from the 2014 Annual Dissemination Report. 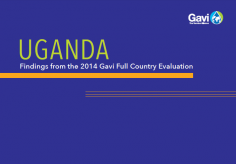 This brief presents findings for Uganda from the 2014 Gavi Full Country Evaluations (FCE) Annual Dissemination Report. It reflects content from the 2014 Annual Dissemination Report. This brief presents findings for Zambia from the 2014 Gavi Full Country Evaluations (FCE) Annual Dissemination Report. It reflects content from the 2014 Annual Dissemination Report. Nigeria has made notable gains in improving childhood survival but the country still accounts for a large portion of the world’s overall disease burden, particularly among women and children. 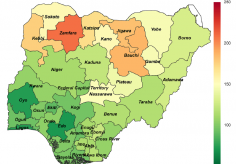 To date, no systematic analyses have comprehensively assessed trends for health outcomes and interventions across states in Nigeria.